Vector graphics of a cartoon character. Drunk man with a funny face, confused expression, formal costume and an open bottle of liquor in his hand. Free vector illustration fro your character design projects. 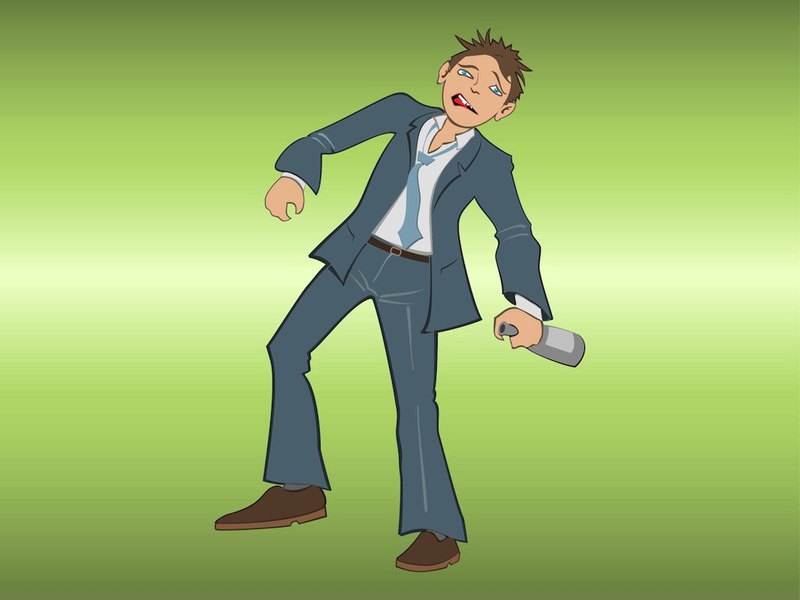 Cartoon man for all health, alcohol, hangover, drinking, party, intoxication and indecent behavior projects. Tags: Alcohol, Beer, Booze, Cartoon, Character, Drunken, Hangover, Liquor, Man, Wine.